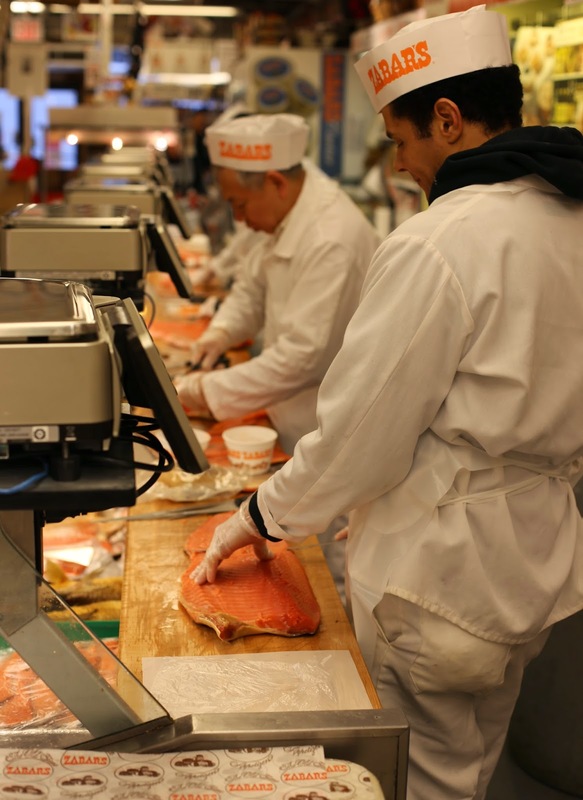 A long row of specialists cuts lox and other cuts of smoked salmon at Zabar's of the Upper West Side. It's an impressive Jewish deli, and is conveniently open on Saturdays. The bakery stocks an excellent "signature sourdough" rye.